large cubic zirconia. Earrings measure 10cm / 4" in length and 6.5cm (2.5") in diameter. 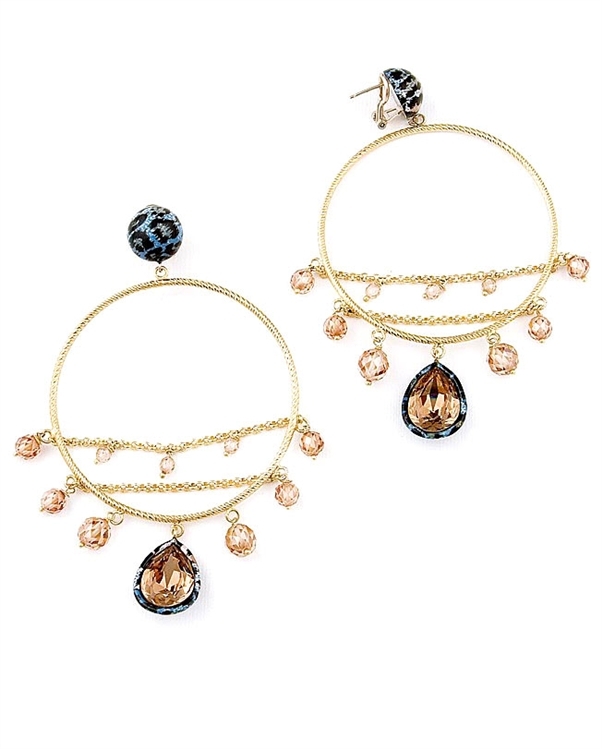 A dramatic pair of designer earring that will add glamour to your outfit. Also makes a wonderful gift idea for a loved one. Cubic zirconia brown stone : 2cm / 3/4". Drops: 2.6cm / 1"